Mycotoxins are a diverse group comprised of hundreds of secondary metabolic products of various fungal species. Several show marked toxicity in humans. Contamination of the food supply with mycotoxins is increasingly prevalent, and can occur during growth, harvest, transportation, processing or storage. Techniques to reduce mycotoxin concentration after contamination are expensive, unreliable and sometimes reversible. Therefore, the removal of contaminated products from the food chain is a primary means of eliminating human exposure. The sensitive and accurate detection of very low levels of these compounds is critical to efforts to identify contaminated products. LC-MS/MS is a popular analytical technique for this purpose. 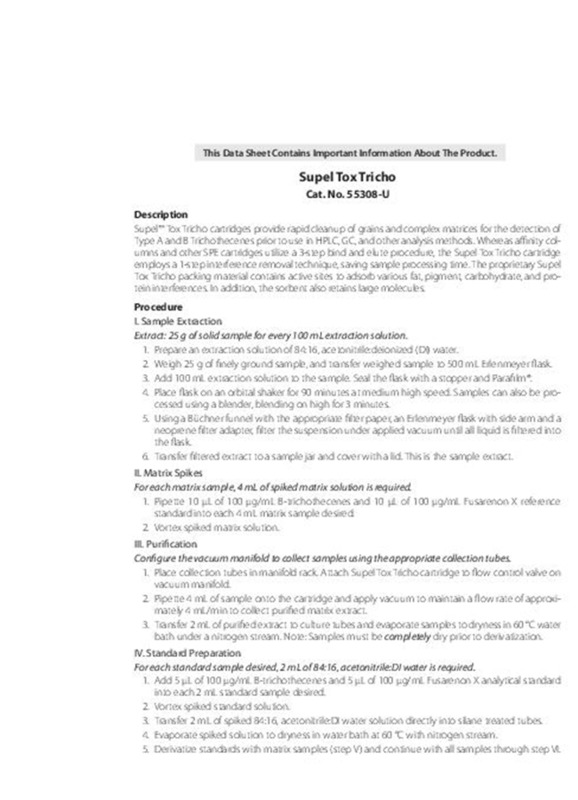 This application explores using Ascentis® Express RP-Amide and Ascentis Express F5 HPLC columns to perform this analysis.